The sun tilts closer to the horizon and an autumn briskness frolics in the air. Students head back to school, sports and extracurricular activities. Increased demands on time and family mean it’s especially important to stay well and fit. Nutrition is the foundation for a healthy lifestyle and hemp can contribute as a tasty, versatile addition to almost any meal. Whole hemp seed contains approximately 20-25% protein, 25-35% fat as oil, 20-30% carbohydrates and 10-15% insoluble fiber. It is a source of numerous minerals and vitamins, including Vitamin E, a powerful antioxidant that helps neutralize free-radicals and protect cells. Nutrient-rich hemp seed contains all nine essential amino acids, including an abundance of heart-healthy arginine. It is easily digestible, gluten-free and contains no known allergens. 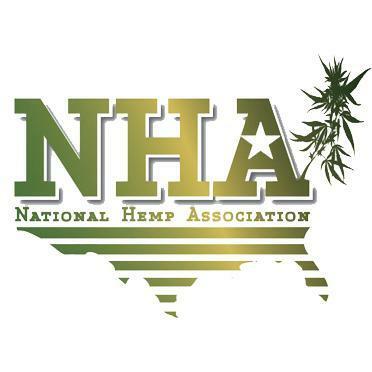 Hemp is nature’s highest botanical source of essential fatty acids (EFAs)—known for their ability to quell inflammation—and has a perfect 3:1 ratio of Omega-3 and Omega-6 EFAs. It’s high in fiber, low in sugar and contains no cholesterol or caffeine. Hemp food products use primarily the seed or the oil, which is cold-pressed from seed. The oil is a great substitute for most other oils or butter. Mix hemp oil with your favorite spices and a little balsamic vinegar for a healthy salad dressing then top off the greens with a sprinkle of hemp seeds. Hemp oil adds a rich, earthy flavor to pesto and dips. As versatile as hemp oil can be, it is not the best choice for high-temperature cooking since its unsaturated fats are not heat-stable. Hemp can be ground into meal or flour and is used to make protein powder and fiber supplements. It’s a popular ingredient in cereals, granola, and snack bars, and it’s the basis for our own Hemptealicious™ selection of organically grown, whole-plant teas. Hemp milk is available on the grocery shelf or can be easily made at home by blending hemp seed and water; use it as a substitute for dairy milk over cold cereal, in batters, in your morning coffee or as a basis for smoothies. The light, nutty taste of raw hemp seeds make them great as a snack, on cereal, yogurt, oatmeal, or as a garnish for soups, stews, stir-fries and muffins, even as an ingredient in puddings and baked goods. To preserve freshness, hemp seeds should be refrigerated in a tightly sealed container. As you embrace the new school year and enjoy fall activities, enrich lunch box snacks and family meals with the hearty taste of hemp while knowing you’re doing good things for your health. We’d love to hear how you add healthy hemp to your meals and hope you’ll share some of your discoveries in our comments section.